This is a fully automatic “connect and forget” 48V 1A charger with 3 charging steps. When the battery is charged, the charger automatically switches to trickle charge and the LED will switch from red to green. Protection: Reverse polarity, output short circuit, overload. 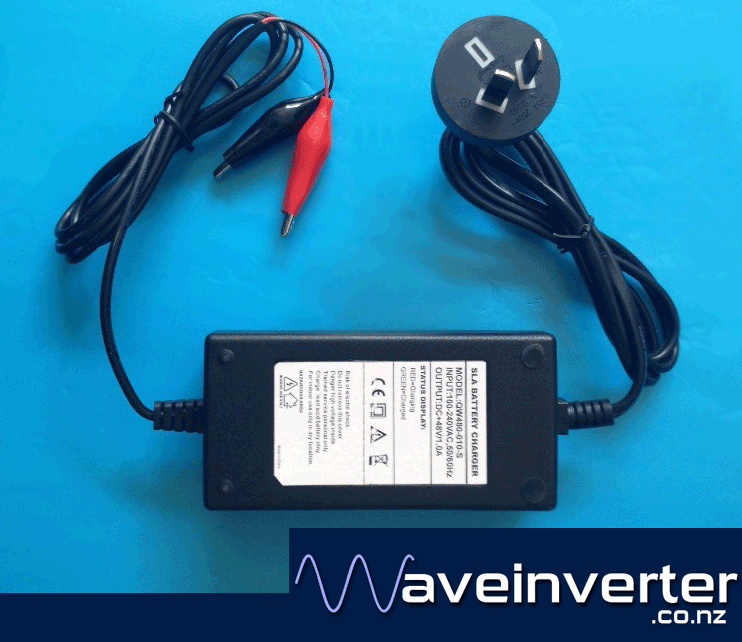 Suitable for 48v batteries between 5AH and 20AH. It can charge conventional Flooded Lead Acid, Calcium, VRLA & GEL batteries.